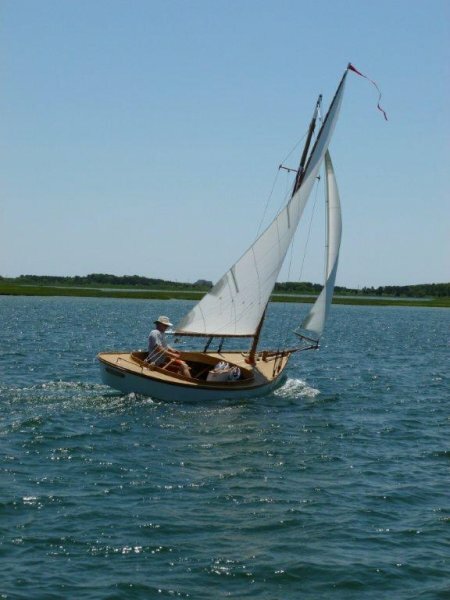 MYSTIC was designed and built to be used in the thin waters of Westport MA. 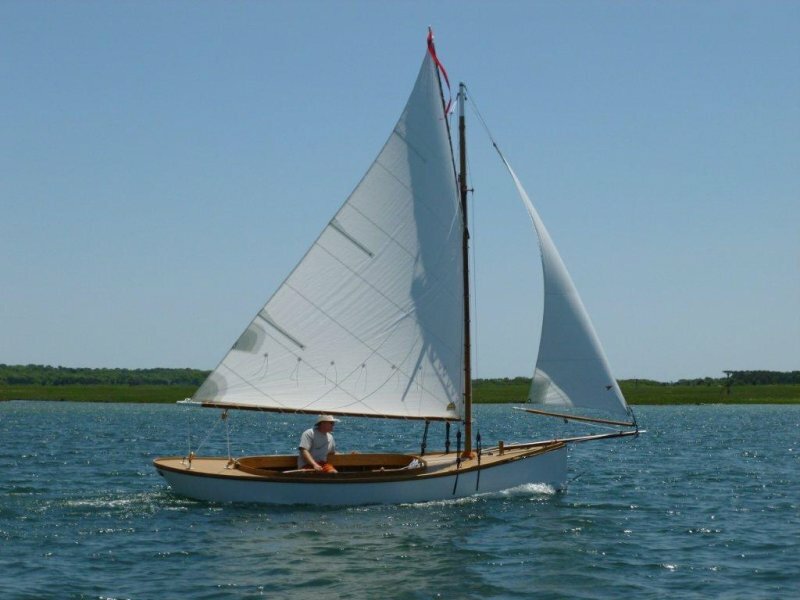 She is hard chined, flat bottomed, and has a full keel with an inboard rudder. She was built with local woods and re-purposed hardware. All of her rigging was hand made. The spars are recycled from past boats, as is the bronze hardware. MYSTIC is a pleasure to sail and prefers 10 - 20 knots of wind to bring her up to speed.